James E. Hurt, 81, of Loogootee, passed away at 2:20 p.m. Saturday, October 6, 2018 at Loogootee Healthcare and Rehabilitation Center. He was born October 26, 1936 in Cloverdale, Indiana to the late Clyde and Weonia (Berry) Hurt. Jim married Irene (Bough) Hurt on April 15, 1961 and she survives. He was a United States Army veteran and served his country for 2 years. While in the service he was assigned to The Pentagon. After he was honorably discharged from the service he was employed at the state house. Jim then went on to own and operate a mechanic shop in Hall, Indiana. In 1972 Jim and Irene moved their family to Loogootee, Indiana. Jim accepted a position at USG and retired after 27 years of employment. 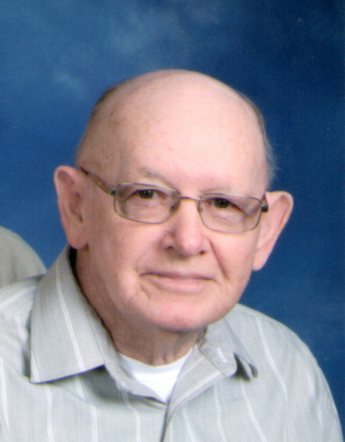 He was a member of the Loogootee United Methodist Church. He loved sports, especially the Cleveland Browns and Cleveland Indians. Jim was preceded in death by his son, Fred Hurt; parents, Clyde and Weonia (Berry) Hurt. He is survived by his wife of 57 years, Irene (Bough) Hurt of Loogootee; sons, Mike Hurt and Rick Hurt, both of Loogootee; grandson, Dakota Hurt; siblings, Hershel (Marjorie) Hurt of Plainfield, Norma Cramer of Martinsville, Shirley (Doug) Todd of Fishers, Linda Tincher and Arleen (Clinton) Poynter, both of Monrovia. Funeral services will be conducted at 11:00 a.m. Thursday, October 11, 2018 at the Loogootee United Methodist Church. Burial will follow in Goodwill Cemetery. Visitation will be held Wednesday, October 10, 2018 from 4:00 p.m. to 7:00 p.m. at Blake Funeral Home in Loogootee and Thursday, October 11, 2018 from 10:00 a.m. until the time of service at the church. In lieu of flowers memorial donations can be made to the American Cancer Society. Condolences may be made online at blakefuneralhomes.com.